Bemanan : Point Blank Elegance | WhatsTheScene? I tend to start on a new piece of music with a single question – “What does it feels like?” It is a simple approach that often assists with sentimentalizing the song, in ways that are both useful as well as generating bias. When I heard Bemanan, I was worried about the latter happening, because when I asked myself what their sound feels like, I found myself having a lot to say. I started with ‘Damal Chele’ off their eponymous album, and it was a good one to dip my toes in. Their music holds itself to impressive standards, and yet, builds itself around a nerve of casual serenity. There are numerous moments when it twirls on the edge of incoherence, but the effect seems almost purposeful and is perceived only after numerous replays. This quality, coupled with stellar production, might just be the perfect encapsulation of what this band represents – a thoughtful ease. ‘Kato Gai‘ toes the same line of sentiment, but dwindles into trippier phonetic territories. This altering of inclination keeps the listener in the throes of a pleasant anticipation that is amply satiated by the last song. 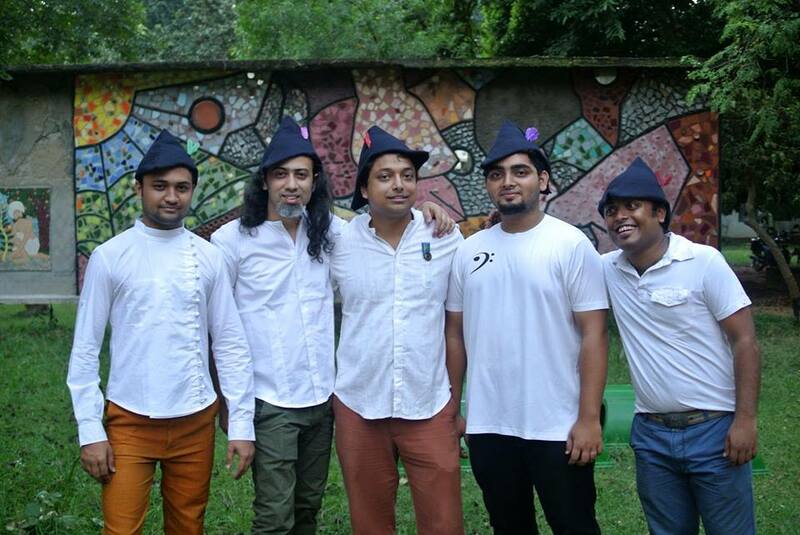 The Choupahari sessions had the three guys standing in the green recesses of the Choupahari forest at Shantiniketan and singing to the accompaniment of their strings as well as the wind and the shiver of the leaves. As seen in the video below, they are entirely unperturbed by dogs lounging around or a cyclist whirring by. A better introduction to their sound could not be imagined. He also mentions plans about working on a second round of them. As effortless as it sounds (and almost a tad cliched, for any of us who have been immersed into any form of art whatsoever), it has led to the emergence of admirable musical nuance and intrigue. I’d say they have it right. The interspersing of sounds is almost lovingly made in the strain of laying a tapestry of laid-back intimacy. Try ‘Deyaal‘ to see what I’m talking about. The trio list a profusion of diverse musical heroes and inspirations ranging from Bill Monroe, Tim O’ Brien, David Grisman, Sam Bush, Dave Rawlings, Melonious Quartet, plenty of classic jazz and music of the Bauls to Sachin Dev Burman, Salil Chowdhury, Sudhin Dasgupta, Kabir Suman, Nachiketa, Fossils, and Steely Dan and The Beatles, Pink Floyd to Leonard Cohen to Mohiner Ghoraguli ,Rabindranath Tagore,Bach, Mozart, Beethoven to S.D. Burman & Salil Chowdhury and Indian Classical Artists like Ali Akbar Khan, Abdul Karim Khan, Pannalal Ghosh, Nikhil Banerjee and many more. I leave you to make your judgments on the twists of melody that holds together a world of emotive multiplicity. I’m almost entirely sure that you will find something to relate and perhaps even make ‘your song’.